When it comes to home care and maintenance, there are many kinds of professionals we know to call when a certain issue arises. If the shower begins to leak, you’d call a plumber, or if you wanted to install a new light, you’d bring in an electrician. Just as important as the maintenance and upkeep of the inside of your home is the care of your surrounding yard and landscape elements. When it comes to the trees in your garden, the professional whose services you will find yourself in need of is a tree lopper. Also known as an arborist, tree lopping providers are trained in how to expertly, safely and effectively diagnose tree health, identify a plan of attack and get the job done in a way that causes no harm to people and has minimal environmental impact. Given how many homes in Brisbane have beautiful trees adorning their yards and providing not only aesthetic but environmental benefits to the surrounding area, it’s important to make sure you’re working with a professional who will carry out the work required in a way that is mindful of the space they’re working in. There are many reasons why you may need the services of a tree lopper. If you plan on nurturing the healthy growth of your garden and the trees that inhabit that space for many years to come, finding a tree lopping company whose professional services you can trust to do the job to a high standard of quality will give you the right tools you need for many years to come when tree-related needs arise. Why Would You Need a Tree Lopper? There are many reasons why you may need to hire a tree lopper. In some cases, you may have a tree that has outgrown the space available to it, with roots that have grown so big that damage is being caused. If roots begin to grow beyond boundaries, they can cause significant damage to underground drains and utilities. If this growth continues, water and power services can be disrupted. Roots can also cause cracks to develop in the foundation of your home or any concrete footpaths. This growth can also impact the utilities available to your neighbours if the roots of your tree have extended beyond your boundary to their property. It’s far more expensive to fix damaged pipes than it is to remove a tree before the pipes are damaged in the first place. Tree lopping companies come equipped with the tools required to remove trees that are positioned in problematic areas. Not only are they able to fully remove a tree along with all of the attached roots, but they’re also equipped with stump grinders that let them turn the removed tree into valuable and useful wood chips which can be repurposed as garden bed mulch. Another reason you may hire a tree lopper is to deal with overgrown branches. Overgrown branches can have a negative impact on their surrounding environment by blocking views or creating too much of a canopy that keeps valuable sunlight off your home or lawn. Your garden may require constant sunlight in order to grow at a healthy rate, and an overhanging tree can easily become the culprit behind the death of other plants or of your lawn seed by blocking the sun for the majority of daylight hours. It’s also important that natural light can reach as many areas of your home as possible. Natural light has a positive impact on our environment and the way we perceive emotions, so flooding your home with it is a great way to naturally increase the enjoyment you feel at home and make it a welcome space. 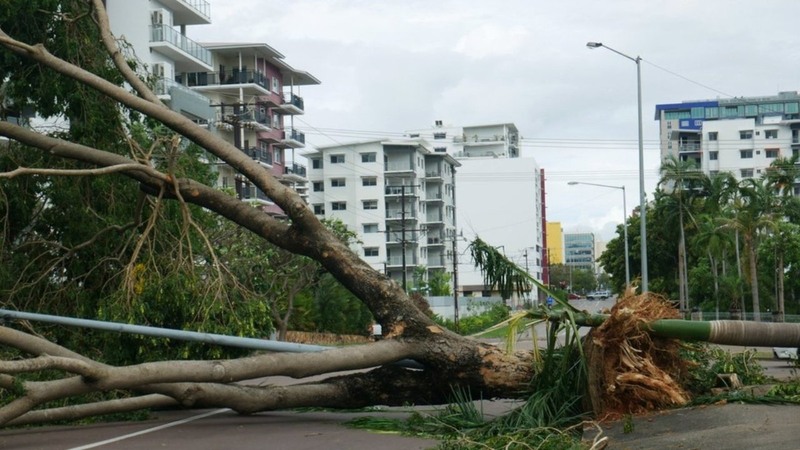 If you live in Brisbane, it’s also important to keep in mind the impact the region’s weather patterns can have on the trees on your property. 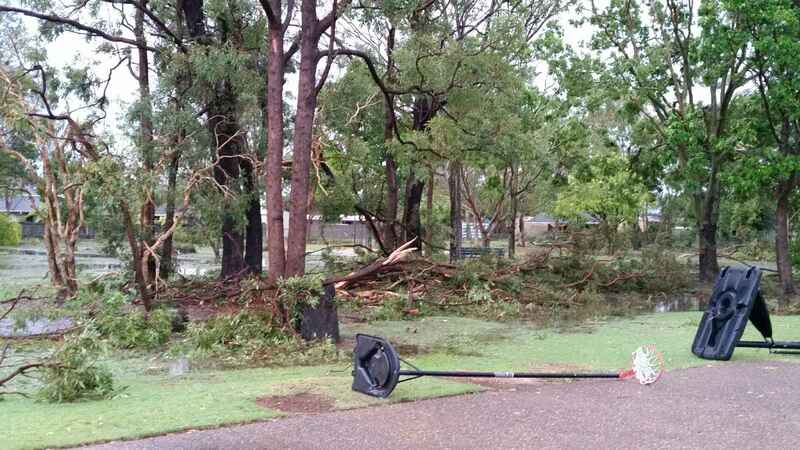 Storm season is a given throughout the Australian summer, and summer storms can come through with barely a moment’s warning, causing great damage in their wake. If you have trees with large branches that are situated somewhere that could lead to danger – such as over a driveway where you park your car or overhanging parts of your home – you may be able to save yourself pain and damage down the track by hiring a tree lopper to do some preventative lopping before the summer storm season rolls around. A trained tree lopper will be able to assess and evaluate the health of your trees’ branches and identify any branches that may have been weakened internally due to disease or damage. These branches are much more susceptible to being torn down during storms, so by removing these at the first sign of potential risk, you’re saving yourself from having to deal with a larger mess further down the track. Is Your Property Fire Ready? Brisbane also experiences very high temperatures during summer, when there can be bans on fires in order to keep communities safe. A heavily over-grown tree brings an added risk to your property due to its ability to provide a fire with lots of fuel to stoke the flames. This is a key consideration when it comes to these dry summer months, especially if the weather has gone through a particularly dry and hot season. This can be easily fixed by lopping some of the excess branches and reducing the tree to a safer state. Are Your Trees Healthy? How Can You Tell? If you’re concerned you may have a tree with dying or diseased branches, there are some simple signs you can look for in order to decide whether or not you need to take action. Trees bear symptoms of their internal health on the outside. One symptom to keep an eye out for is an unusually high level of lost leaves over the course of the day, beyond normal amounts. If a tree is dropping lots of leaves, this could be a sign that its health is not in optimal working order. Another thing to check for is the growth of strange bumps or fungus on the tree’s bark, branches, and trunk. These are another indication of poor health, and if a tree’s health is on the decline, its structural integrity can become weakened and hazardous. These are another indication of poor health, and if a tree’s health is on the decline, its structural integrity can become weakened and hazardous. Further to these symptoms, if the top of the tree is withering, this is a sign that the tree is getting a lack of nutrients or water supply and is in ill health. If you suddenly see an excessive number of insects, this is a sign of infestation – and if termites have made themselves at home inside your tree’s trunk, sadly, it’s time for it to go to keep your home safe from the potential danger it will now cause. Why Shouldn’t You Just Do It Yourself? Before you decide to pick up some garden shears or a saw and begin to hack at the trees in your backyard, consider the danger that exists by trying to carry out the tree lopping work required without the proper training, equipment, safety gear, and experience. Tree lopping requires many different skills and an ability to evaluate each tree on its own merit as far as deciding on the best course of action. The average homeowner will not have what it takes to do the job efficiently, thoroughly and safely, and much more damage can be caused by any accidents caused due to a DIY job gone wrong. 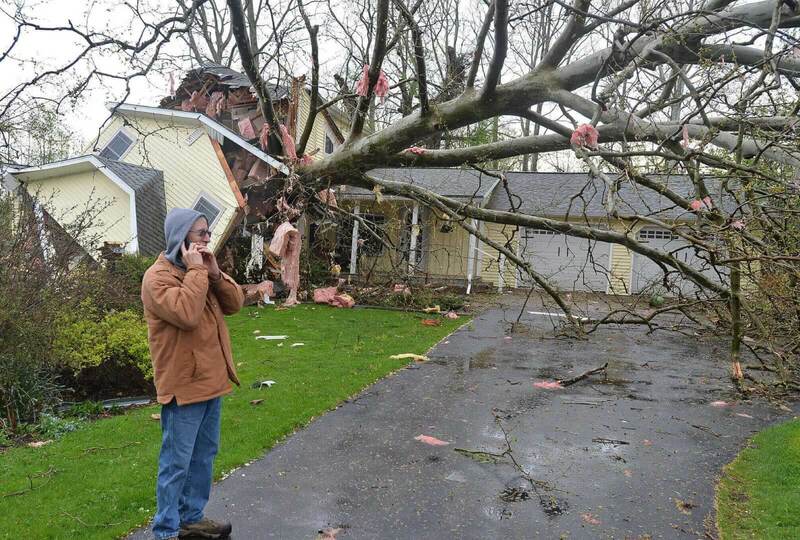 For your family’s safety, your property’s health and your peace of mind, make the call to bring in a tree lopping professional when you know your trees need some tender loving care and attention. There are many things to consider before signing on the dotted line and hiring a tree lopping company. Too many people believe they’re qualified for the job simply because they own a tool or two and have trimmed some hedges in their own backyard. However, tree lopping can be a dangerous job, and hiring a professional who brings many years of experience to the task, as well as an intimate knowledge with the best course of action required for each particular set of circumstances, is the best way forward. The first thing to look for is a history of happy customers. Tree lopping companies with a reputable history will be able to give you the name and numbers of clients they’ve worked with before. By reading testimonials from previous customers, you’ll be able to look for any warning signs. Do customers talk about how clean their property was when the job was done? Do they talk about guaranteed cost and time frames? Is there mention of above-and-beyond service? Secondly, knowing the company you hire has the correct insurances in place is paramount. 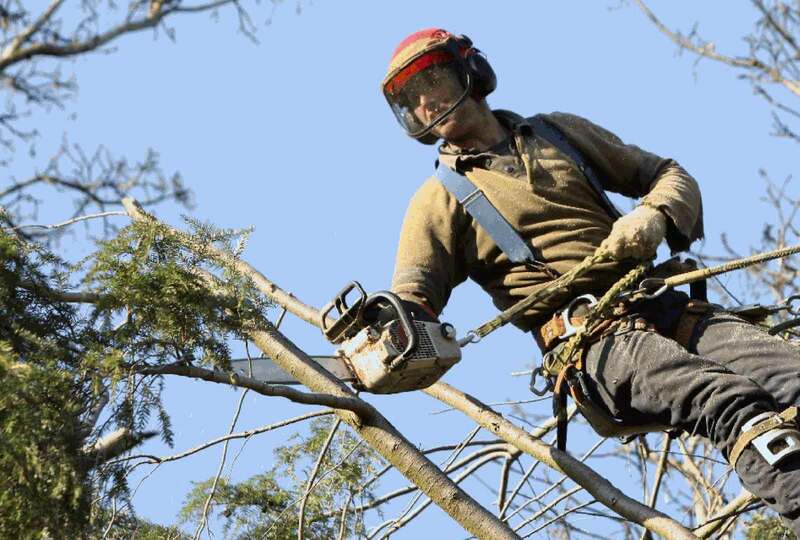 As tree lopping requires many activities that can be dangerous when not carried out correctly, insurance can make the difference between the company being liable if anything goes wrong and liability falling on you. Make sure you clarify with the tree lopping company you’re talking to as to how far their insurance extends – what you want to ensure is that their staff and workers are entirely covered if any of them are injured in the process and that any damage to your property as a result of an accidental branch drop or a tree falling in the wrong direction is also covered by their insurance provider. Another benefit that comes with asking about insurance coverage is that you’ll receive confirmation that the company does indeed possess public liability insurance. This is an easy way to sort the experienced and reputable companies from the people who’ve just put an ad online in the hope of making a quick dollar, who may end up doing more harm than good in the process without the necessary experience required for the task at hand. Thirdly, ask for a quote based on the work required. A truly experienced professional will have the knowledge and experience they need to draw on in order to be able to adequately quote you for the full cost of the tree lopping work. They’ll also be able to give you an overview of the time required and the process their company will follow. Tree lopping companies that are experienced and reliable will not have an issue with providing you with an estimate, and if a contractor you’re speaking with hesitates to provide you with a figure, this could be a sign to steer clear of hiring them in order to avoid being charged with additional and unexpected fees down the track, when it’s too late for you to turn back. It’s best for your sake if you have a clear idea of the kind of time required for the work at hand. If you’re under the impression the work will only take a few hours and still have noisy tree lopping activity taking place two days later, chances are, you’ll be less than thrilled about the situation. By understanding how much time is required for the specific work at hand, you’ll be able to plan around the work timeframe and make sure there’s nothing going on personally that could be an issue with this noisy activity – like having guests or trying to get a baby to sleep! It’s also wise to let your neighbours know about the work that is to be carried out and to give them a timeframe for completion, as this will help everyone to rest easy when they hear the noise of the chainsaws begin and branches beginning to fall. Finally, discuss your home’s location with the tree lopping professionals, as the location of your property will have an impact on the applicable rules, regulations, and guidelines that need to be followed with any tree lopping work in your local area. Different states and different councils have their own sets of guidelines when it comes to prohibited tree species, which may require permission before any lopping or removal work takes place. 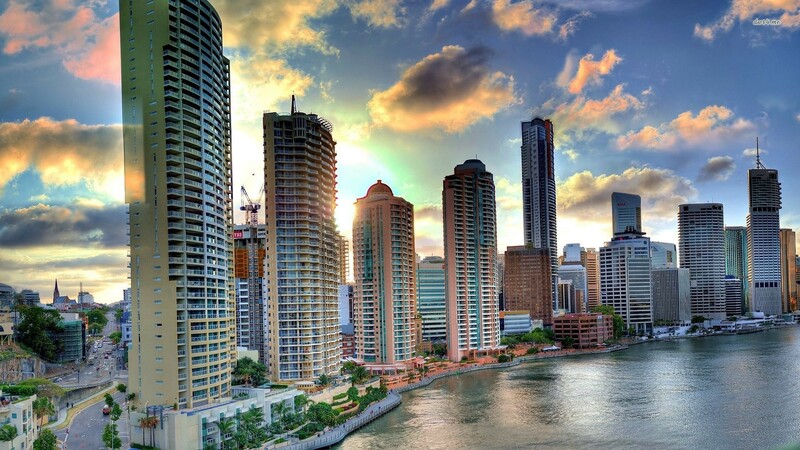 Living in Brisbane, the guidelines around this area are easy to access, as the Brisbane City Council has this information on their website. 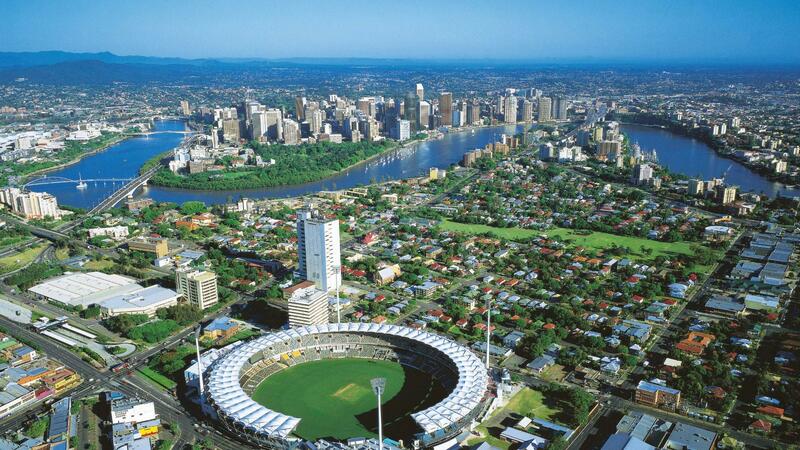 The key thing to look out for as a Brisbane property owner is an understanding of any trees that hold ‘heritage tree’ status, as these are protected because of their cultural or natural heritage significance. 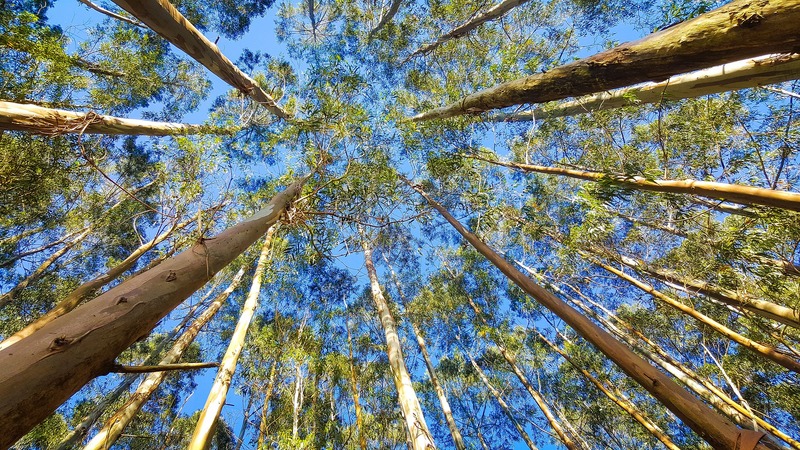 If you’re looking to alter a tree that is protected under these rules, you’ll need to ensure the Brisbane City Council has signed off on the work to be undertaken before it goes ahead. This is something tree loppers would deal with on a regular basis, so enlisting their professional opinion and expertise can save you lots of time and energy in trying to hunt this information down for yourself. Once you’ve hired a tree lopper, there are certain conversations to be had before work begins that will give you peace of mind and an understanding of the overall process. Begin by asking the tree lopping team about how they will access your property. Are they able to bring in their required tools and machinery without causing damage to your garden beds and lawn? 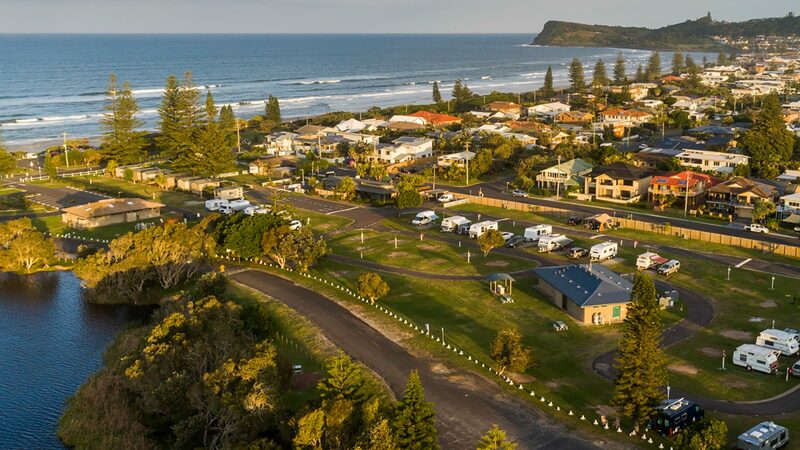 They’ll be able to confirm with you there physical workflow and how their team will bring the necessary equipment onto your property in a way that causes the smallest impact possible. It’s also prudent to discuss the intended tree fall direction before work commences. A reliable tree lopping professional will carry out a detailed evaluation of the area that surrounds the tree in question, looking for anything that could be problematic should it fall in that direction. It’s their job to make sure the area is safe and secure before the lopping process begins. They’re able to make cuts to the tree to encourage it to fall in the safest direction possible, so this is a very key part of the lopping process. One more area to cover off with your hired tree lopper is the treatment of any fragile material in the space that surrounds the tree to be lopped. If you have any surfaces such as glass or tiles close by, it’s their job to cover these areas with a protective material designed to stop any damage should the tree fall in that direction. Lastly, make sure the tree lopping team will remove all debris – the last thing you want to have to find a solution for is a mountain of cut-off tree branches and piles of leaves to battle with. This is part and parcel of any professional tree lopping company’s service but is best to confirm upfront so expectations are clear around what’s included in the lopping fee. 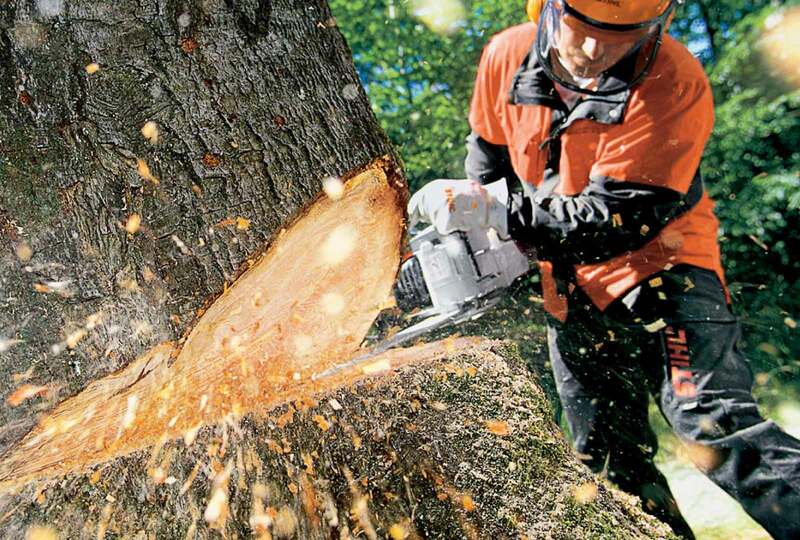 How Do Tree Loppers Stay Safe? Like seasoned professionals of any industry, tree loppers come equipped with the gear they need to make sure their personal safety remains intact throughout the tree lopping work. They’ll wear safety glasses, gloves, and clothes that allow them to move fluidly in response to potentially dangerous falling tree branches. They’ll also establish safe routes ahead of time in case the tree decides to fall in a different direction than initially planned. If you see any signs that the tree lopping company you’ve hired may not be setting up or planning for the safest tree lopping experience possible, discuss this with them before work begins, and don’t let work continue until your concerns have been addressed. Before work begins, there are a few small things you can do to make the process as smooth as possible. Make sure any family pets are safely locked up away from the work area to remove the risk of an accident due to falling branches. Also move any cars out of the driveway if it’s near the tree’s fall space, as this will make the job of the tree lopper far easier by giving them the clearest workspace possible for the task at hand. Each tree lopping job is different, dependent on the size of the tree, scope of the work and the position of the tree in context to anything around it that may be harmed in the removal or lopping process. As mentioned, tree loppers will begin by carrying out an evaluation of the job and coming up with a plan of action that minimizes risk and allows them to get the job done to the full extent it requires. The tools required for the job will differ, varying in accordance with the type and size of tree work is taking place on. There can be multiple tools required across the course of one job. If a large tree is being cut down, a chainsaw will be used, whereas tree loppers may choose to work with hand saws on smaller trees. Knowing where to make cuts and where to leave the tree alone is one of the benefits tree lopping professionals bring to the job. When cut correctly, the lopping of branches can encourage healthy growth in your tree and give it a new lease on life. When cut incorrectly, your tree’s health can deteriorate, and the tree could even die as a result – just another reason to leave this work to the professionals! The standard process a tree lopper follows is called ‘limbing’. Limbing is a process that sees branches removed from the bottom of the tree first, before making their way higher up the trees. Tree loppers will cut branches on the opposite side of the tree from where they’re standing to remain safe as branches fall once severed. For larger trees that are being removed, care is required to make sure the process goes smoothly. Trees that are high enough to cause potential damage to either your home or that of your neighbour’s will require a targeted approach by the tree loppers as they carry out a strategy that sees parts of the tree come down bit by bit without causing damage. If you’ve got a large tree that requires a full removal, your tree lopping professional will follow a step-by-step approach. The first thing to check is the fall area, making sure nothing lies in the way in any direction the tree may come down that could be damaged. They’ll then look at the natural lean of the tree and make a decision as to whether or not the tree can fall in that direction. 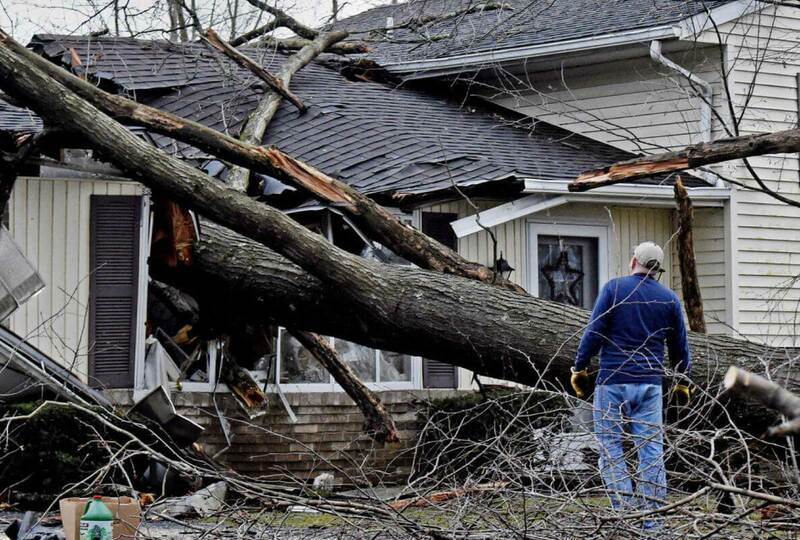 Although this is the best choice for the tree’s fall direction, sometimes it’s just not possible given the tree’s placement – such as if the natural fall would send the tree collapsing onto your family home or carport, which is a less than ideal outcome. Before work begins, they’ll also check the tree for any safety hazards. Dead branches or branches that are already loosened and hanging can pose threats if they’re not dealt with before work begins. If the tree that’s being removed has a hollow or rotten core, its fall direction cannot be trusted given the lack of structural integrity in its trunk. This is something a seasoned professional will be able to observe and amend their plan of attack for the purpose of carrying the required work out in the safest manner possible. Tree lopping professionals will create a lopping plan that lets them reduce the tree piece by piece whilst staying out of the path of falling branches. They’ll use their tools to make cuts to trees on the opposite side of the tree to where they’re standing, staying out of harm’s way. They’ll begin cutting at the base of the tree, making their way up to the top. These branches will be cleared and removed as work continues to keep the workspace clear of hazards. Once all of the tree’s branches have been removed, the tree lopper will have clear access to the tree’s trunk and can make cuts in sections so the trunk is reduced in size. This is particularly important if a tree is very tall and is towering over homes – its fall needs to be controlled, so by cutting it down piece by piece, there’s a very reduced threat to any surrounding structures as its fall reach diminishes. This is a lengthy and involved process that requires many tools, safety precautions and involved pieces of machinery. It’s not uncommon for tree loppers to bring a cherry picker with them, particularly when it comes to taller trees. Using a ladder whilst operating a chainsaw could be a fatal decision, and you’ll be able to see their years of experience and professionalism coming through in the way they approach the tree removal and the equipment they use to complete the job safely, thoroughly and effectively. One of the great benefits of bringing a tree lopping company in to carry out a tree removal is the wood chips you may be left with if you choose. By grinding the stump of the tree, they’re able to give you the resulting wood chips for use around your garden and landscaping. Wood chips are a great way to naturally encourage healthy plant growth and also help to keep soil in place, protecting it against exposure and against the weather elements such as rain or wind. Instead of having to purchase these chips, you’re able to recycle your old tree and put its wood to good use on your garden in a new form. Two birds, one stone! Tree lopping is not just restricted to areas like tree removals or the lopping of dead branches. Trees that have branches lopped professionally can end up growing in a healthier manner, so bringing a tree lopper in to evaluate your trees could end up giving them an extended and happier lifespan. If you’ve got a number of larger trees in your garden, you may benefit from asking a tree lopper to evaluate their growth, health, positioning and how the branch growth direction will impact your yard and home as far as foliage cover. Keep in mind that too much shade can have a negative impact on the healthy growth of the rest of your garden, as the majority of plants will require some direct sunlight over the course of a twenty-four hour day to thrive and flourish. Tree loppers are well versed in landscaping needs and will be able to give you their professional opinion on whether or not any lopping work to your healthy trees could help with encouraged growth. This can be a very practical area of consideration too, as often, larger trees will begin to have branches that extend across a fence into a neighbour’s yard and as a result, can drop an uninvited amount of leaves or fruits into their space. This is something you should take action to avoid (unless, of course, they like the coverage! ), so by bringing a tree lopper in and having some simple branch cuts take place, you’ll be able to keep the neighbourhood peace with your considerate and proactive actions. The tree lopping process does not need to be stressful or confusing. Even though there can be a degree of emotion involved if you need to remove a tree you have loved for years, by hiring a professional tree lopping company who you trust, you’ll know you’re going to get the quality of work you need to protect your home, your yard and also to ensure the job gets done to the highest possible standard. If you’re in doubt as to whether or not you need the services of a tree lopper, or you’re not sure how to deal with an overgrown or dying tree, make a call to your local trusted Brisbane tree lopping company. They’ll be able to take over the process for you in a friendly and professional manner which will put you at ease.